Now, this is what I like to see from Downton Abbey: deftly paralleled characters, a dragging plot arc culminating in decisive action, an uncharacteristically subtle vein of social criticism, some entertaining side stories, and a dose of naked sentimentality. A change of scenery and glamorous costumes don’t hurt, either. Best of all, it’s packed with attempts to stir up scandal that are squashed by the the sweet, sweeping power of love. It’s the best of both worlds: the sordid thrill of villainy, but none of its lingering ugliness. That’s not the only ironic echo between the two women. Atticus Aldridge’s mother is determined to override her husband’s objections and—graciously, generously—welcome a gentile to the family. As Rose says, Lady Sinderby knows their religious differences aren’t “all unimportant, but she thinks her son’s happiness is more important.” Lady Flintshire is determined, too, but to a different course. Learning that Rose is “quite, quite sure” she can’t be persuaded out of the marriage, Susan resolves to use trickery where words would fail. Susan’s objections to the marriage are rooted in bigotry, but they also reflect her grief over a history lost, a family heritage forfeited. Defending her (indefensible) ploy to cast Atticus as a cad, she rails at Shrimpy: “Doesn’t it mean anything to you that we have lost our money, that we have lost our position, that we have lost everything that the children have grown up expecting as their right? And now you want Rose to be an outcast?” Lady Flintshire and Lord Sinderby have more in common than she’d ever believe. 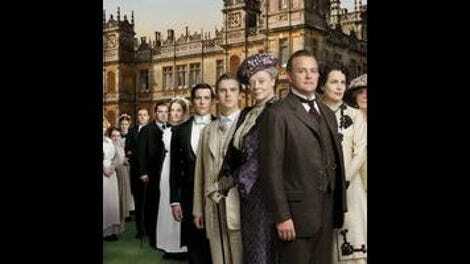 Parallels between Lord Grantham and Carson are nothing new on Downton Abbey. Carson anticipates His Lordship’s instructions for the war memorial as if they are one mind—or two equals working toward a joint task, as Robert seems to forget. Carson invites the staff to attend the unveiling, but his invitation is a command, and everyone knows it. When Mrs. Patmore declines, Lord Grantham invites her especially, and his invitation is not one she can refuse. When Mary broods over the household breaking up, it’s Carson she turns to. He’s as paternal as ever—and a bit off the mark, just as her father would be. It’s Tom’s impending departure, not Lord Gillingham’s engagement, that spurs Mary’s melancholy, and no wonder. Tom continues to give the most astute, emotionally honest advice on Downton Abbey, whether it’s reminding Edith that one day she’ll remember Michael Gregson with happiness, not heartache, or calming down Rose when she receives apparently compromising photographs of Atticus. Perhaps the oddest parallels in this episode are to Isis. Robert’s lost his dog, so now he lavishes affection on his grandchildren. Sitting on the library floor playing Snakes And Ladders, Robert ask, “What would my father say?” Robert has played with the children before; his nickname, Donk, comes from a once-mentioned, never-seen game of Pin The Tail On The Donkey. But just last episode, Robert took to the library floor (for the first time I can recall) with Isis; now he sprawls there with Sybbie. There’s another—more uncomfortable—parallel to Isis. Speaking to Mr. Evans, whose family engraves the Crawleys’ dogs’ gravestones, Lord Grantham is inspired to fund a stone honoring Archie (and consoling Mrs. Patmore). It’s a sweet gesture, and a neat one, sidestepping questions in the village with a well-considered announcement: “He wasn’t local to Downton, and so his name does not appear on the memorial. But his memory is cherished by some here, and so it seems right to us to mark his passing.” But it’s not flattering to Robert that his kindness draws such a straight line between a fallen soldier and a dead dog. 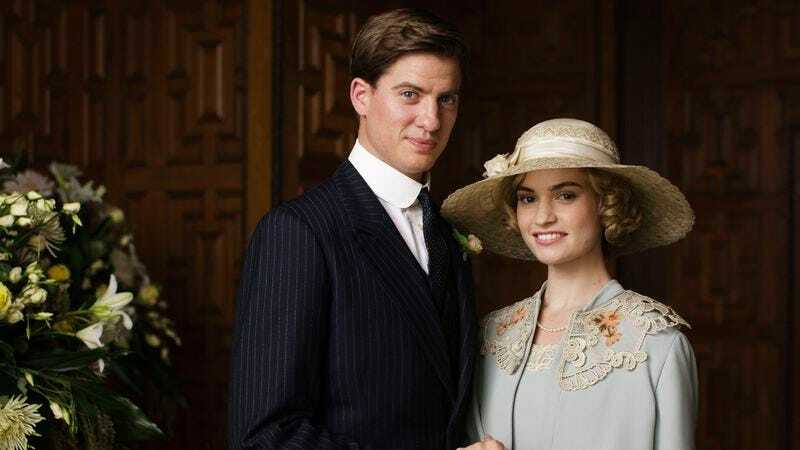 Thomas Barrow, so long Downton Abbey’s scheming villain, gets to use his wiles for good for once. At The Velvet Violin, the underground gambling club where Denker drags marks in exchange for free—and liberal—drinks, Thomas’s sharp wits seem ingenious, not sly. He rakes in winnings and shares them with Andy, the temporary footman who’s in hock for all his wages, and he repays Denker’s dirty trick with one of his own, landing Denker with the bill for all three nights of heavy drinking. It’s a pleasure to see Thomas perform a good deed, especially since it employs his well-established talent for duplicity and quick thinking. From the facile acceptance (or equally facile vilification) of Barrow’s homosexuality to its simplistic treatment of Rose’s romance with Jack Ross, Downton Abbey tends to shy from realistic portrayals of contemporary bigotry, endowing its main characters with attitudes more aligned with modern viewers than with inhabitants of early 20th century Yorkshire. But not tonight. In addition to blatant antisemitism (like Susan’s sneered “those people”), the episode is laced through with subtler examples of what sociologists call “othering.” From Violet’s amusement that the marriage strikes prominent members of England’s Jewish community as “a mésalliance,” to a wedding guest confiding that “it must be very trying,” to Mary’s expectation that Atticus would have “a more Jewish name,” to Carson’s speculation that “maybe that sort do it differently,” a stream of quiet presumption bubbles up through the show. Mrs. Hughes twits Carson for his remark, but she’s the one who thinks the Aldridges’ hosting a wedding dinner “feels quite foreign.” That unintentional distancing says as much as Lady Flintshire’s calculated viciousness. This isn’t blunt, brutal bigotry; it’s more pervasive, and therefore more poisonous. Both are defeated with sunny frankness. When Lady Flintshire chills conversation by asking if the Sinderbys have trouble hiring servants, Lady Sinderby names the elephant in the room, replying with deceptive lightness, “No, but then, we’re Jewish, so we pay well.” Cora outfaces Lady Manville’s insinuations with a pleasant “I wonder if you remember that my father was Jewish?” and her embarrassment (“Oh. I’m afraid I, uh… that is… How interesting!”) is delicious to behold. Also delicious to behold: Violet, the Dowager Countess, outmatched in verbal sparring. Prince Kuragin knows what he wants, and what he wants is Violet. “I wish to spend my final years with you–as a friend, as a lover. I don’t see scandal, only love.” Asked if he plans to divorce the absent princess, he retorts, “Why, do you want more children?” It’s a rare treat to see Violet rendered speechless. And then there’s another kind of speechlessness: the stumbling numbness with which everyone greets Anna’s arrest for Mr. Green’s murder. Mrs. Hughes interrupts Anna and Lady Mary, hesitatingly announcing that Anna’s wanted downstairs. Lady Mary fumes and halts her way through furious challenges to the arresting officers. Anna stammers that she mustn’t leave without seeing Mr. Bates. Inspector Vyner urges silence all around, suggesting Mary wait until morning to phone the lawyer “for her sake as much as anybody’s,” and urging them to break the news to Bates after the police have gone, “when he can’t say anything he’ll regret.” Bates storms in, already brooding, and is silenced by Lord Grantham. The rest of the servants stand around in a terrible hush. To end this on a happier note, but still one that might render some viewers speechless, here’s Lady Rose in her wedding finery. Quick, someone slap together a montage of Rose’s trousseau, and of the ooohs and aaahs and applause as the Crawley women admire it. I knew you wouldn’t get out, Daisy, not that easily. Tom announces he’s leaving for America after Christmas. Mary responds, “And leave me alone with Edith? When you read I’m on trial for murder, it’ll be your fault.” Listen, if season six puts Mary on trial for murder—of anyone—I’ll gladly retract everything I’ve said about the tedious police inquiry arc. This is the season finale, but not quite the end. I’ll see you back here next week for the Christmas special!